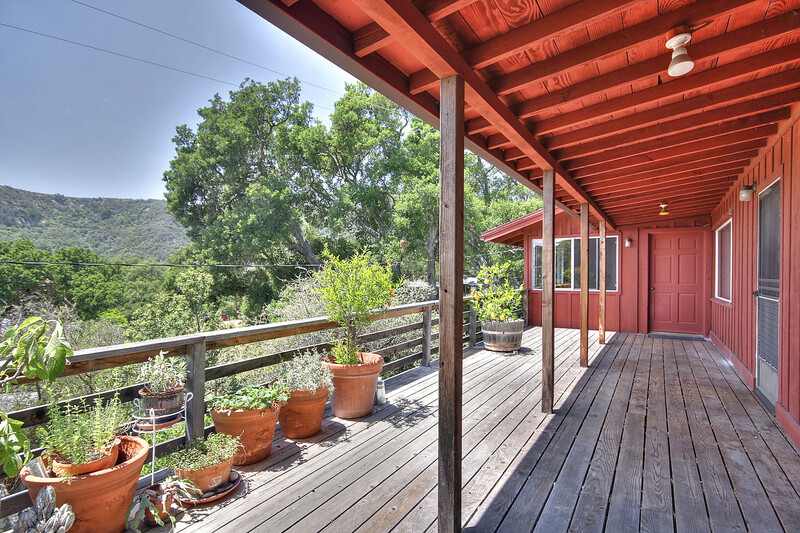 Come on up the mountain and visit this 1950 cabin that is located in the San Marcos Trout Club. 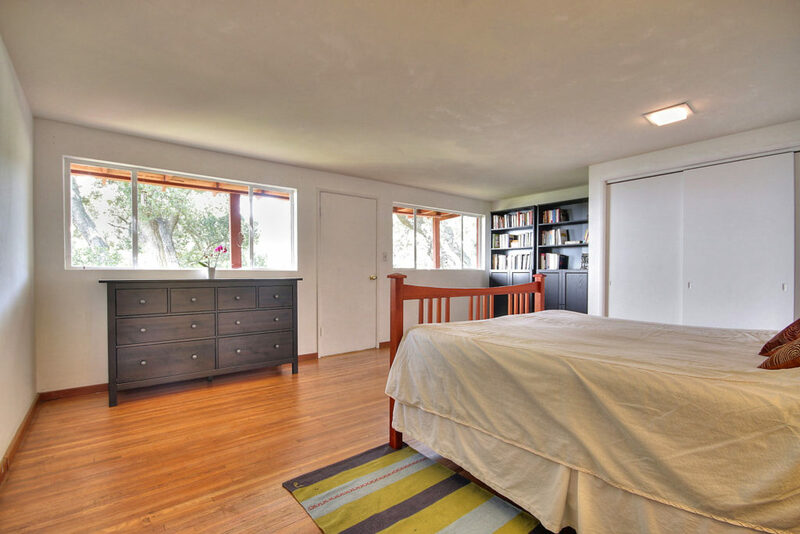 Good ol #9 has mountain, forest and ocean views from most rooms in the home, as well as from the decks and yard. 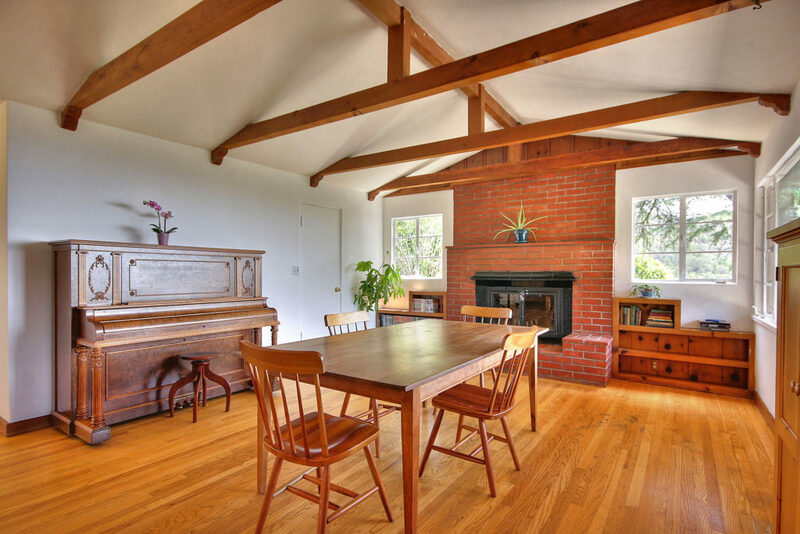 There is a wood burning stove in the dining room and a fireplace in the living room. 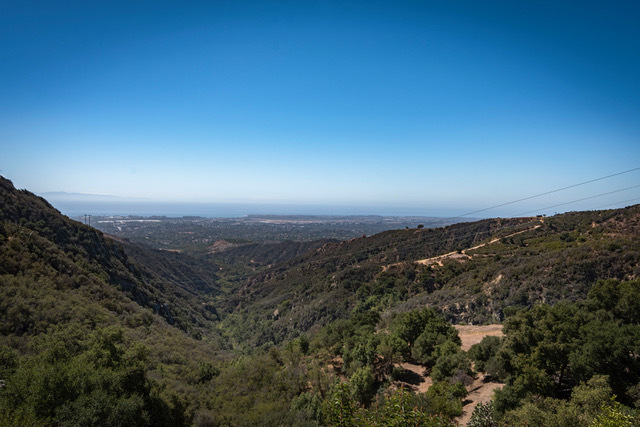 The setting of the community is quiet and tranquil, yet just 12 minutes to Cathedral Oaks. The community is in the Mountain View School attendance area*. 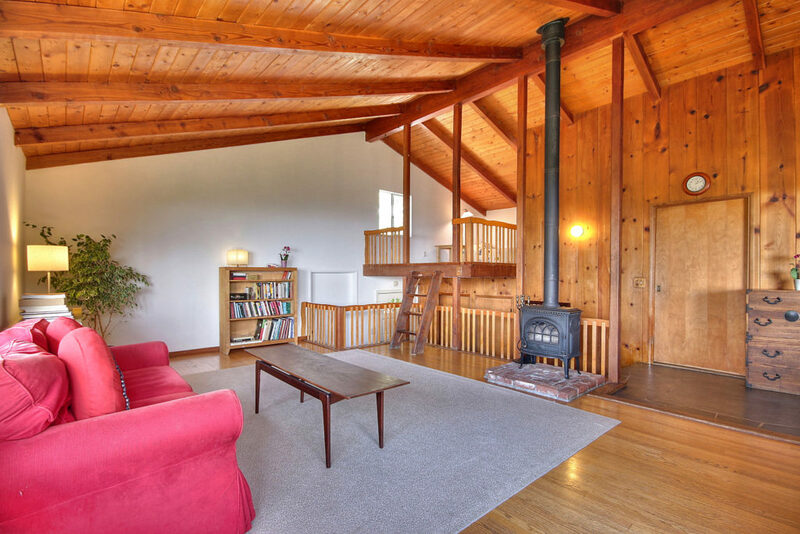 This is an opportunity to get away from the hustle and bustle of town and acquire a home in the rural Trout Club Community that is made up of only 36 houses. In the Trout Club YOU own the land – it is NOT Forest Service leased land! 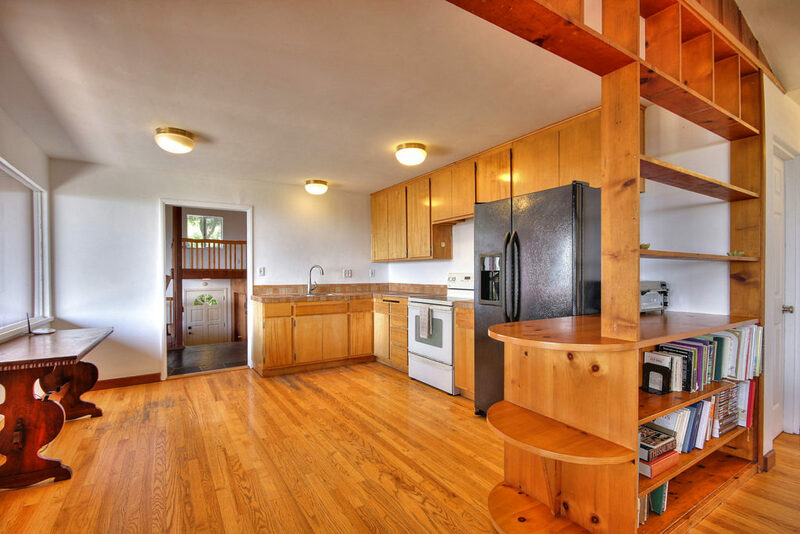 This property has two bedrooms, an additional room that has been used as a bedroom but would work as an at home office as well as a loft above the living room. The kitchen is located between the living room and the dining room. In addition, there are two bathrooms, a laundry room and storage below the house. 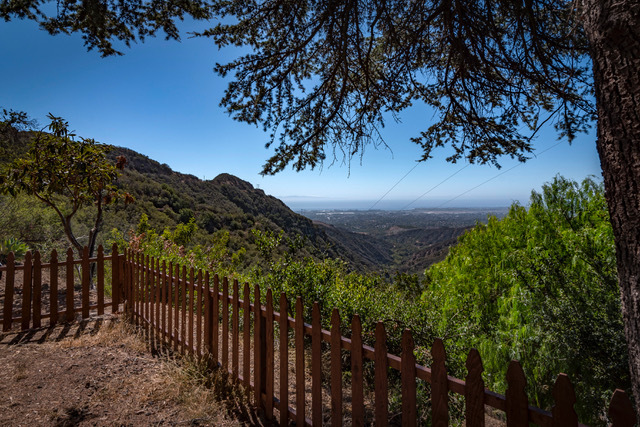 This is one of the few Trout Club properties that has flat land and is very private, with its location nestled next to the Los Padres National Forest boundary. There is a trailhead located directly off of the driveway to the cabin. As you can imagine, the star gazing, without light pollution from town is incredible. 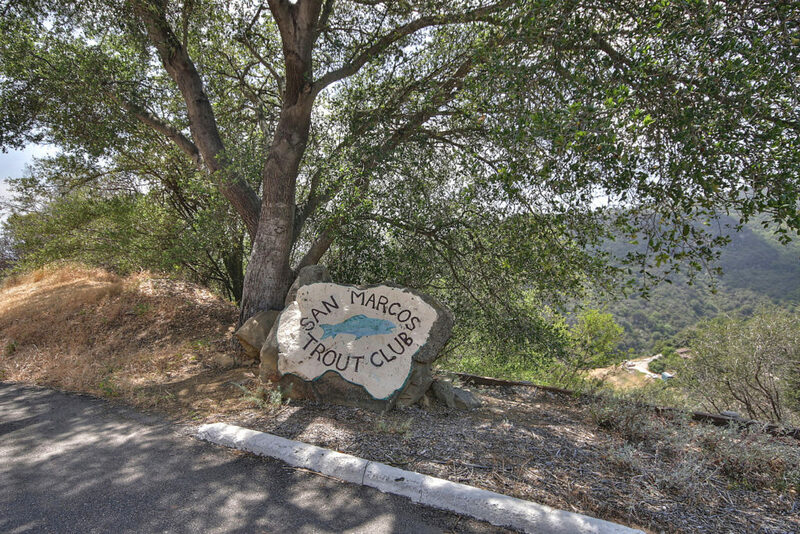 The San Marcos Trout Club was established in the 1920’s by a group of people from Santa Barbara. They built cabins and developed trout pools down by San Jose creek. The owners would then come up her during the summers to hunt, fish and party. The Trout Club has 55 acres of community property, including big fields and land in the canyon down by the creek.